This is just way too awesome to not share with you! The light and dark really make this photo topic stand out! A beautiful autumn day at one of London’s more hidden gems. 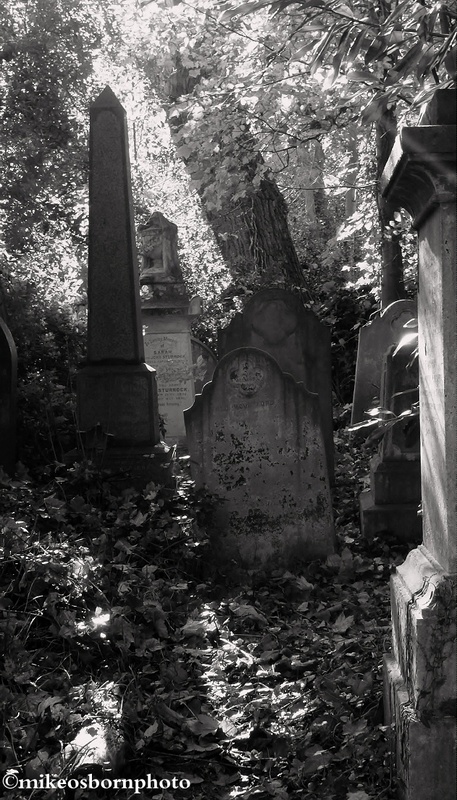 A cluster of tombstones nestle in the woodland and are bathed by bright sunlight. Coincidentally, it is Remembrance Sunday and the resting places of these long departed souls are captured on film. It is most definitely a place of peace. Images from my visit to the captivating Abney Park Cemetery in north London will appear here soon.